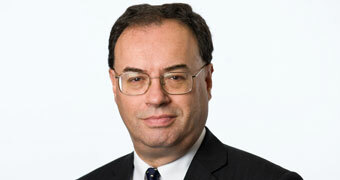 Speech by Andrew Bailey, Chief Executive of the FCA, at the Transforming culture in financial services conference. Work on firm culture is embedded in the work of our supervisors and is an important priority for the FCA. Essays in our Discussion Paper on transforming culture in financial services indicate that culture is about encouraging and incentivising good things, not just stopping bad things from happening. The Senior Managers Regime and measures to govern the payment of remuneration are important developments in creating incentives for good culture. Cast your minds back just over 2 years to New Year’s Eve 2015. Why? The FCA was criticised for announcing that it was placing the lead responsibility for its culture work under its Business Plan with its Supervision Departments. It was interpreted as a downgrading of the importance of this work. As a Board member at the time, I found this reaction odd. Work on firm culture is naturally embedded in the work of our supervisors, for whom it is an important priority. It has been pursued diligently by Supervision ever since, and will continue to be so, and today’s conference and the publication  are a part, but only a part, of our work. There is, though, an important point about culture which underlines why it should be an important task of conduct supervision. Culture is not naturally pursued by a regulator like the FCA by making rules. We would not achieve much by making a rule which said that all firms should have a good culture. I want to be clear however, and I will come back to this point, that culture in firms is influenced by the rules we make and the incentives they create, so there is a very important role for our rules, but it is not a direct prescribing of culture. Moreover, there are important elements of culture that are outside most of the direct influences of our rules. We do expect people to come to work and follow good values without needing to make a rule to require it. Of course, in reality what happens varies a lot, and it is the job of our supervisors to observe and through their interactions with firms to set expectations consistent with our public interest objectives. There are times in my career as a supervisor when I have summoned a firm in and said ‘we expect better from you’. And, of course, we have to use supervisory and enforcement tools when misconduct is identified or suspected. Unfortunately, if you look back over the last decade and more, we have seen too many instances of misconduct, some of which we are still dealing with. As supervisors, our objective is to prevent misconduct, not just clear up the messes when they happen. No supervisor can guarantee good conduct at all times, much though we wish it, but we do expect to act to pre-empt and anticipate poor conduct, and society has a right to expect this. If you follow this line of argument, I think it is natural that as a public interest authority, we want to do all we can to understand the drivers of poor conduct so that we can seek to prevent them. A little over a year ago, I did some work to prepare for a speech I gave in Hong Kong on culture  in which I looked back at the history of corporate executive remuneration in the US since the Great Depression of the 1930s. I found the evidence very interesting. In essence, the system that operated from the Great Depression until the 1980s had relied on the legacy of the 1930s and an almost unstated code in society that the remuneration of senior corporate executives should not increase beyond a quite limited multiple of average pay on the basis that to breach this relationship would be viewed as ostentatious and breaking a norm that acted as a glue in society more broadly. Things changed from around the early 1980s. You can label it the ‘Greed is Good’ era if you can remember the first Wall Street film with Michael Douglas. It is also often labelled as the era in which so-called agency theory came to prominence, in which corporate governance was used to change the policies under which a manager (agent) operates, and thereby emphasise the interests of the owner (principal). This led to a rapid increase in senior executive pay as the limits of the previous social norm were replaced by an approach which used remuneration to incentivise performance. Broadly, this approach held up to the global financial crisis, certainly in financial services. This ‘glue in society’ is interestingly reflected in the overall pattern of income growth in the US. Between 1917 and 1948, the real income of the lower 90% of earners in the US grew at 1.43% per annum, more than double the 0.50% growth rate per annum for the top 10%. For the 1948-1972 period, the real incomes of both groups grew markedly more rapidly, at an average of 2.58% per annum, more than double that of the 1917 to 1948 period, and while the real incomes of the lower 90% grew by 2.46% per annum, those of the top 10% grew by 2.65%, quite a remarkable uniformity. And then it changed. Between 1972 and 2013, average real income growth for all employees was 0.48% per annum, but with the top 10% growing at 1.42% per annum and the lower 90% at -0.17% per annum. That is a notable change in income distribution. One of the intellectual origins of this shift away from the traditional post-Depression approach came in September 1970, in an article written in the New York Times by Milton Friedman. It went under the title: ‘The Social Responsibility of Business is to Increase its Profits’. If you will let me indulge, I am going to read the first paragraph. ‘When I hear businessmen speak eloquently about the social responsibilities of business in a free-enterprise system, I am reminded of the wonderful line about the Frenchman who discovered at the age of 70 that he had been speaking prose all his life. The businessmen believe that they are defending free en­terprise when they declaim that business is not concerned ‘merely’ with profit but also with promoting desirable ‘social’ ends; that business has a ‘social conscience’ and takes seriously its responsibilities for providing employment, eliminating discrimination, avoiding pollution and whatever else may be the catchwords of the contemporary crop of reformers. ‘The discussions of the ‘social responsibilities of business’ are notable for their analytical looseness and lack of rigor’. So, there you have it. The seeds of the financial crisis of 2008 were sown by Milton Friedman 38 years previously almost to the day. Well, not quite, because to my mind there is an even more interesting quote 3 paragraphs later, which I am also going to read. ‘In a free-enterprise, private-property system, a corporate executive is an employee of the owners of the business. He has direct responsibility to his employers. That responsibility is to conduct the business in accordance with their desires, which generally will be to make as much money as possible while conforming to the basic rules of the society, both those embodied in law and those embodied in ethical custom’. Friedman starts by setting out the essence of agency theory. People I know who know the piece tend to stop there. But let’s go on, because the interesting part for me is when he said that the responsibility to make as much money as possible should conform with the basic rules of society, as embodied in the law, and ‘in ethical custom’. Here to my mind we have the essence of the issue around culture. There are ethical customs and laws that rightly constrain private interests. They are the representation of the public interest. And that public interest is not just the responsibility of public authorities like regulators; rather it is firstly the responsibility of firms, their managers and owners. The reality is, with the benefit of hindsight, that the point made by Friedman about ethical custom, and also the law, was not followed consistently, with disastrous consequences in the financial crisis. Since then, we have set about rebuilding the system and rebalancing the incentives. I would also note that I think Friedman was wrong to suggest that ethical custom must always come in to firms from outside – from ‘society at large’. Firms are part of that society, as such they have public interest duties. I think this lack of connection between firms and societal duties in terms of the responsibilities of firms is where the culture debate and practice subsequently went wrong. Consistent with this wrong direction, there is little doubt in my mind that prior to the financial crisis, the culture towards the public interest and ethical custom were essentially permissive, to the point of anything goes. It was evident in the advocacy of light touch regulation, the view that left to themselves firms would succeed, and to paraphrase, just as a rising tide lifts all boats, so the public interest would benefit. It didn’t work out that way. We are left then, I think, with the conclusion that the interpretation of the public interest and ethical customs has changed over time. But this also means that the interpretation can be influenced, which brings us back to the importance of work on culture. Friedman’s insight was deeper than many interpretations have suggested, but open as we have seen to misinterpretation. Nevertheless, the proposition that the interpretation of what I will call an ethical culture serving the public interest can change over time, means that there is an important role for the incentives created by regulation and supervision of firms and their culture. In our world, I would single out 2 developments of recent years as important for creating the incentives for good culture, namely the advent of the Senior Managers Regime  for banks, which will shortly be implemented for other financial services firms and measures to govern the payment of remuneration to Senior Managers of banks. It is important that regulatory measures such as the Senior Managers and remuneration regimes are rooted in clearly understood and applied basis principles and objectives. The basic principle of the Senior Managers Regime is that of responsibility and accountability. A senior manager has to take responsibility for the activities under their control. Likewise, they should be accountable for that responsibility. These concepts – responsibility and accountability – are disarmingly simple and direct. But such things tend to be the most powerful. I remember some years ago speaking at an event on the introduction of the Senior Managers Regime and being challenged that responsibility could not be defined and thus not enforced against either. We got into a debate, and then a lady in the audience put it more effectively than I had; she was teaching her children responsibility, and didn’t get what the problem my opponent in the debate had in understanding such a simple concept. Good culture rests on simple but powerful ideas was a lesson I took from that incident. Another major cultural change post financial crisis has been the introduction of remuneration regulation for banks. As I noted earlier, the pre-financial crisis period was marked by strong growth in the remuneration of many bankers. But it wasn’t so much the level of remuneration that concerned us, but the incentives created by the structure of, particularly, variable remuneration, made up in good part by bonuses. You would imagine that the structure of variable remuneration would reflect the incentives to strong performance by the individual and their firm. When we looked at the pre-crisis period, sadly we often did not fund such incentives working. Rather, for instance, bonuses were awarded on the basis of the firm achieving higher levels of return in equity, which sounds ok until you realise that this is an incentive for higher leverage and weak capitalisation. Or, commission selling based pay was awarded with little scrutiny in the remuneration award process of just how the commission was being earned. In the UK we have taken the approach towards regulating remuneration of creating so-called ‘skin in the game’. In other words putting a significant part of the variable remuneration at risk over coming years, which means using policies of requiring deferral for some period of time, and backing those policies up with others requiring so-called ‘malus’ and ‘clawback’. Put simply, malus operates when the deferred but unvested remuneration is taken back by the firm as a consequence of some discovered misdemeanour or another problem subsequently discovered at the firm. Clawback is essentially the same, except that this involves taking back remuneration after it has been paid out. In my view, over the last 10 years we have seen a major change in attitudes to, and the operation of, remuneration in banks. Early on, I was told quite often that deferral would not be accepted and would fail as a policy. I have not heard that refrain in recent years, which in itself illustrates that cultural values and attitudes of this sort do change quite quickly. Interestingly, I think that deferral of vesting of remuneration achieves some of the incentive effects of the old partnership structure, in the sense that both create skin in the game. For partners, this meant leaving equity capital in the firm. This system died out as the major firms grew rapidly and needed to raise capital on a scale which went beyond the resources of partners. For culture, the lessons I take from these examples are about the power of simple ideas, responsibility, commitment as represented by skin in the game, accountability. None of these big ideas is new, in fact quite the opposite. Nor do they require sophisticated tools to apply and monitor. They go with the grain of good incentives, and they act to support the public interest and its objectives. But, they do require effective and consistent implementation. This is where good governance comes in, a strong role for senior management and particularly boards. And, there is in regulated industries an important role for regulators to back up effective governance and very clearly espouse the public interest. It is interesting to reflect here that a decade ago, and this went on for a few years after the crisis, it was quite typical as a supervisor to be told by boards that very high levels of remuneration had to be paid whatever the state of the firm, for fear of losing key staff. I don’t hear that refrain today and haven’t done so for some years. That is a major and welcome cultural change in my view. But, it would be at best incomplete to characterise the drivers of culture as being the activity of stopping bad things from happening, important though that is. As essays in our volume indicate, culture is about encouraging and incentivising good things, positive ethical customs to use Friedman’s phrase. It would not be a winning pitch for business to describe a culture as preventing the bad things that would otherwise inevitably happen. ‘No thanks’ should be the response. Nor should good culture just be about investigating when things go wrong. At the FCA, one of our fundamental principles for business is that firms should treat customers fairly, which is not the same as firms seeking to prevent the otherwise inevitable unfair treatment. Positive culture, as I will call it, goes right to the heart of what firms and their staff are, what values they represent and the positive ethical customs. It also requires that we all, and I include very much include bodies like the FCA in this, as regulator and employer, are prepared to pursue cultural change for the better, in our own world and as part of society more broadly. And, to be clear in the Friedman context, this is entirely consistent with observing the law and pursuing good ethical customs. I want to take one very prominent and topical example of good values and culture, namely pursuing and ensuring good diversity at the workplace. I always put forwards 2 arguments within my workplace for why this matters. First, I don’t want, as a matter of personal choice, to work in an environment which is not diverse. It would be dull, and it would be at risk of groupthink. We all need to be challenged, to avoid being set in our ways, and diversity plays an important part in achieving that. The second argument is that in order to properly understand and represent the public interest, we need as organisations – in the public and private sector – to bear a reasonably good resemblance to the society that we serve. I would suggest that put like this, such arguments are pretty hard to refute. But, of course, history tells us that we should take nothing for granted, and they have pretty shallow roots. This is another way of emphasising that culture and its values matters, and we should take good care to nurture it. Like most people, I was shocked by events at the Presidents Club. It was a wake-up call – I don’t take good cultural values for granted, don’t assume we live in a society where these things have changed everywhere. But there is also a much deeper reason why diversity matters, and why it must be part of our culture, in workplaces and in society. That is because it represents the commitment to equal opportunities to all in society. It doesn’t matter what someone’s background is, what their gender, ethnicity, age, sexuality are. We welcome such diversity of background and character. I am very proud of the consistently strong scores at the FCA in our staff surveys for those questions which ask our staff to assess our performance as a tolerant and open workplace which espouses the public interest. We don’t always get universal acclaim for what we do, but our culture is one of always seeking to serve the public interest. That’s a big part of our culture. One of the important issues in diversity and culture is the use of targets and measurement. I have to say that I have come round more to supporting measurement, targets and transparency as time has gone by, and now I am a fully paid up member. Why? Predominantly, because I think that otherwise there just isn’t the same incentive to get things done and improve our state. So, we have adopted targets for gender and ethnicity, and we report our gender pay gap, as we should. But I want to dwell for a moment on the argument that a culture which values and promotes diversity is one that favours equal opportunities in society. There is a deeper point here I think. A culture that pursues diversity and equal opportunities is I think one that will have much wider benefits for an organisation. It suggests a culture that is open-minded, tolerant, aspiring to improve and considerate. When I look back at the cultures that I have seen where things have gone wrong, those are not descriptive terms that I would employ. Let me have a go at pulling all of this together. Our Discussion Paper on transforming financial services culture  is focused on 4 themes, namely: is there a ‘right’ culture in financial services; managing culture – the role of regulation; the role of reward, capabilities and environment in driving behaviours; and leading culture change. I will have a go – with due modesty I should emphasise – at suggesting some answers. There is no single ‘right’ culture. It depends on circumstances, and there are certainly cultural characteristics which are highly suggestive of good outcomes. The role of regulation in culture is not to attempt sweeping rules, but rather to use rules and supervision to create the right incentives and to provide tools to diagnose the key characteristics. And, we can prompt and persuade. On the role of reward, as I have discussed it is another influence to create the right incentives for good culture. And, finally, on leadership, there is no question in my mind that it plays a crucial role in shaping culture. I can safely predict that the issue of culture and its role in the conduct of firms will run and run, as it should, because it should not stand still. What can we do to improve pages like this? What did you find helpful?